Book Description: Ninety-three men were hanged at California’s Folsom State Prison from 1895 to 1937, when executions were transferred to the gas chamber at San Quentin. 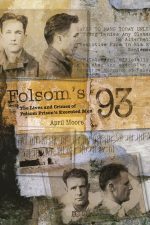 Folsom’s 93 is the first book to tell all of their stories, recounting long-forgotten tales of murder and swift justice, or, sometimes, swift injustice that hanged an innocent man. 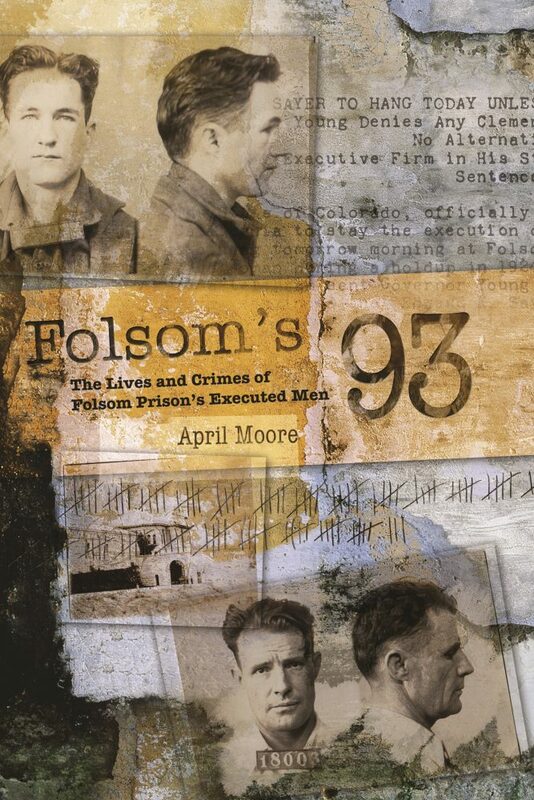 Based on a treasury of historical information that has been hidden from the public for nearly 70 years, Folsom’s 93 presents the full stories of these 93 executed men — their origins, their crimes, the investigations that brought them to justice, their trials, and their deaths at the gallows. This wealth of previously unpublished historical detail gives a vivid view of the sociology of early 20th century crime and prison life. A trip back in time to the hard-boiled early 20th-century California that inspired the novels of Dashiell Hammett, Folsom’s 93 gives a fascinating glimpse into the real-life world of yeggs, confidence swindlers, holdup men, quiet domestic tragedies, and senseless murder sprees that earned these men a date with the hangman. Illustrated throughout with authentic and haunting prison photographs of each of the 93 condemned men, Folsom’s 93 brings the crimes and punishments of a vanished era into sharp and realistic life. 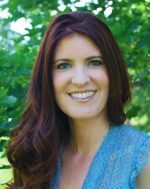 Author bio: April Moore lives and writes in Colorado and helped found a writers critique group in 2003, in which she is still actively involved. During that time, her first fiction manuscript became a finalist in the Rocky Mountain Fiction Writer’s Colorado Gold Contest, and her short story, “Apartment 3B” is included in the literary anthology, Cacophony. As an artist, April owned and operated a greeting card company for ten years, and provided illustrations for the Northern Colorado Writer’s association’s 2012 and 2013 writing planners. She has taught writing workshops at the NCW and helps organize the association’s annual writer’s conference where she is also the contest coordinator for the Top of the Mountain Book Award. In 2008, when April was compiling her late father’s own writings, she discovered an original, 40-page text chronicling the early history of Folsom Prison. For somewhat unexplained reasons, the text, as well as the mug shots of Folsom’s executed men, had made their way into the hands of her great-great uncle, and has remained in her family for nearly seventy years. When she received the photographs from her grandmother, the research into the lives and crimes of Folsom’s executed men began. With a passion for history April compiled nearly 750,000 words of notes and thousands of pages of documents while researching Folsom’s 93. When not writing or illustrating, April is usually enjoying the Colorado sunshine by working in her vegetable garden, kayaking, or hiking, and spends the cold, wintry months curled up with a good book and a mug of tea. Her favorite activities, however, is spending time with her husband, fourteen-year-old son, and ninety-five-pound lap dog.